Dani Pedrosa backed up his practice pace by taking pole position for the Spanish grand Prix at Jerez - his first pole for more than a season. Pedrosa's teammate Marc Marquez made it a 1-2 for the factory Honda team in qualifying, the world champion missing out by just 0.05 seconds. It has been a difficult start to the season for Honda. Yamaha new boy Maverick Vinales won the first two races in Qatar and Argentina with neither Honda on the podium. And although Marquez maintained his career-long dominance of the Circuit of the Americas last time, he was kept up to his work by Valentino Rossi. The Doctor claimed the championship lead by finishing second in Texas, but for once the factory Yamahas don't look on it at Jerez. It's always dangerous to write off the Yamahas, particularly Rossi, who often finds pace on raceday that he doesn't show in practice, but it looks a safer bet that this will be Honda's day. Cal Crutchlow made it a Honda lockout of the front row, qualifying third on his privateer machine. The Briton has quietly had a solid start to the season, with a podium in Argentina and fourth place in Texas. 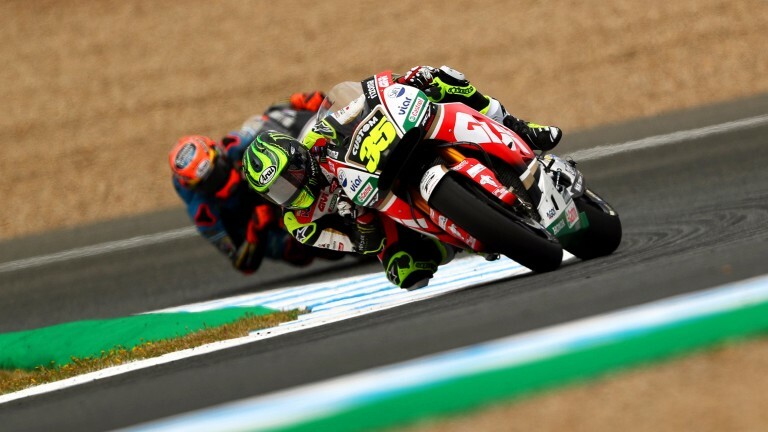 His qualifying session ended in pain as a wasp flew inside his leathers, but that pain can turn to joy for Crutchlow and those who back him each-way.